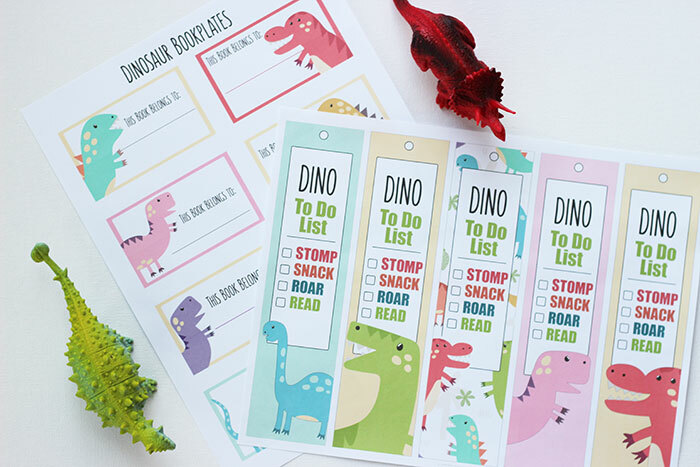 These cute dinosaur printables are the perfect addition to your kids' library! As soon as we step into the library my son makes a beeline for the dinosaur section. Not the dinosaur story books, but the non-fiction aisle, or as he calls it, "where the real dinosaur books are." He is obsessed with learning as much as he can about dinosaurs, and can spend hours poring over his "field guides." 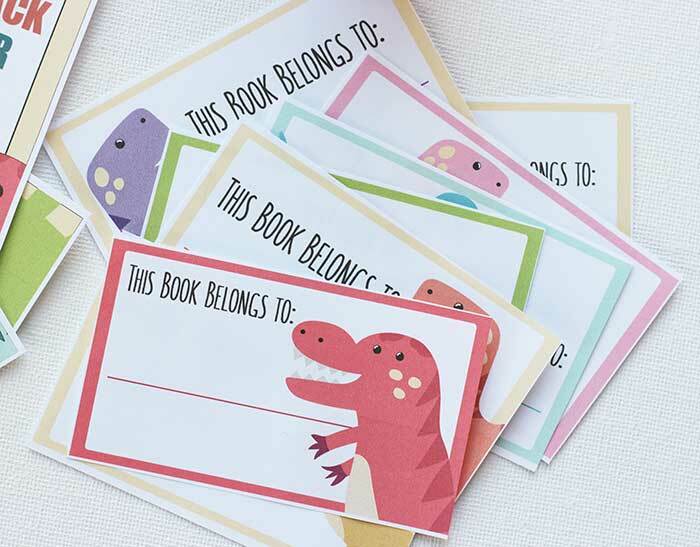 We've hit the renewal limit on several of them so I've started building our own dinosaur library at home - and I created these adorable dinosaur printables to go with it. My son's love of all things dinosaur has fueled his desire to learn to read. I couldn't be happier to see his enthusiasm and excitement grow as he discovers new words (and some big ones!). His dinosaur books are starting to come to life for him more every day and it's amazing to watch. I wanted to give him something special for his collection and these printables have been the perfect touch. And I have them here as free printables for your kids too! 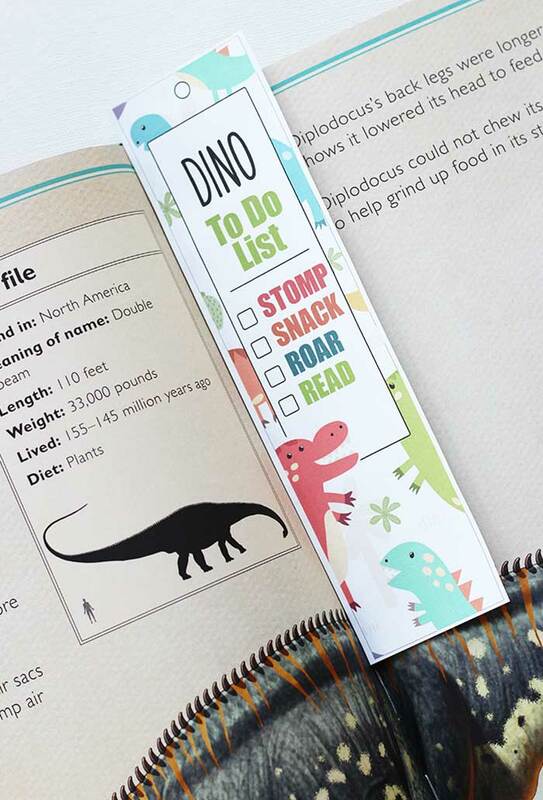 This dinosaur library set is perfect for little paleontologists. 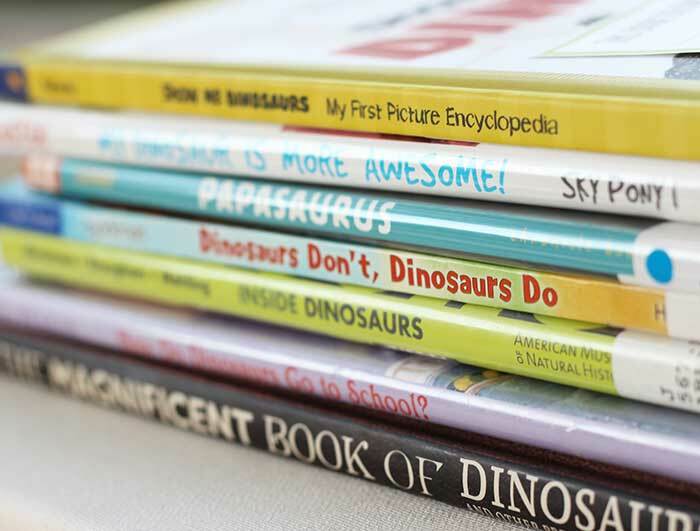 It would make a great gift to go with a set of dinosaur books (see our favorites below!). The set includes 2 pages of printables. 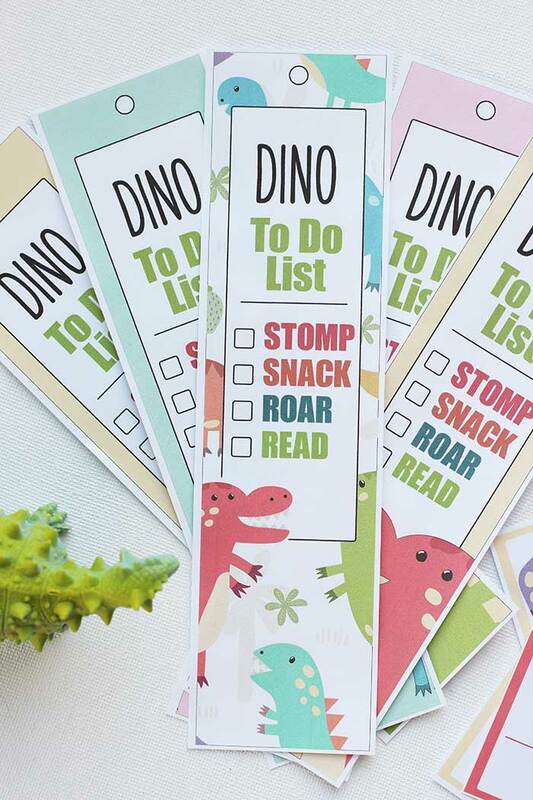 One page has five colorful dinosaur themed bookmarks, with an adorable "dino to do list" which of course includes reading! 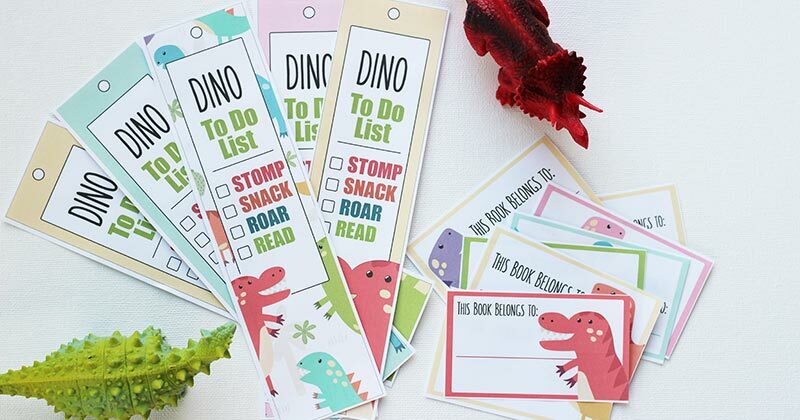 These bookmarks are perfect for keeping track of your favorite dinosaur pages or your place in longer books. There is also a page with eight dinosaur bookplates. 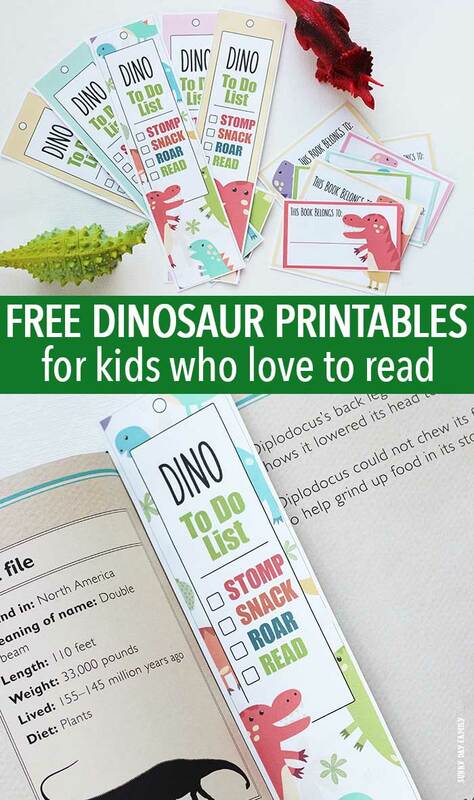 You can print this page on sticker paper to create personalized labels for all your dinosaur books. This is super helpful to remind us which books are ours and which belong to the library - and makes a great addition to a book gift too! You can get the entire set for free by simply clicking the button below. Download and print as many as you'd like for personal use only. Happy reading! Have a little dinosaur lover in your house? Try our Build a Dino activity or make your own dinosaur habitat here! And don't miss the awesome DIY dinosaur bookends here.